Espresso Old Fashioned? Sign me up! Whether you're looking for a change of pace in the morning or searching for you next big success at your cocktail party, this is a top-notch beverage. The complexity and depth of the espresso, coupled with the bitters and brightness of the lemon, make this cocktail one of my new favorites. While I chose to make the Espresso Old Fashioned sans bourbon, it can very easily turned into a drink with a little kick. For a more health conscious individual, feel free to use agave nectar rather than the traditional simple syrup. It will add just the right amount of sweetness. A quick shout out to SATURDAYS NYC. I purchased their Santalum + Cedrus candle, one of my favorite scents. The packaging is incredible, so much so that I couldn't throw it away once the candle was finished. So with a little bit of cleaning, I turned the glass into a cocktail glass. It is the perfect size for any drink on the rocks or neat. 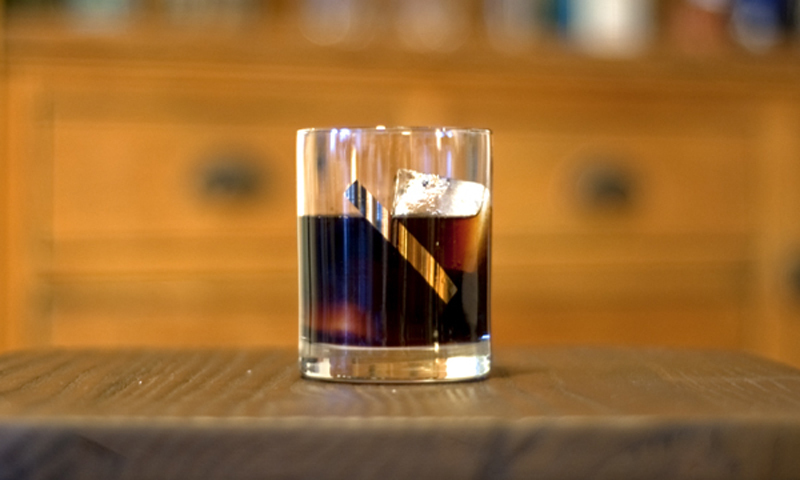 Combine espresso, bourbon, if using, agave nectar, and bitters in a cocktail shaker and fill with ice. Twist lemon peel over cocktail to release oils, then rub over the rim of glass; discard peel.